Fred Liers, PhD is Communications Director for Health Products Distributors, Inc. (HPDI). He is involved in many aspects of HPDI’s public relations, outreach, and education initiatives, as well as social media and marketing activities. 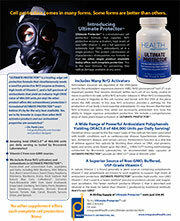 He writes for the HPDI blog and website (IntegratedHealth.com) especially preparing technical and educational materials. While he has worked full time for HPDI since 2004, he has created educational materials for the company since 1988. Fred maintains an active interest in alternative health and healing. He regards himself as an “adventurer” in the realms of natural health. He has seen the effectiveness of natural healing methods help many people to create, support, and maintain powerful health. He is devoted to creating optimal health for himself, his family, and pets. He enjoys sharing his health knowledge – especially through his work with HPDI – both in person and through his writings. Fred has been involved with HPDI from its inception more than 29 years ago. He has 30 years of experience of personal involvement with nutritional supplements, herbs, and superfoods. 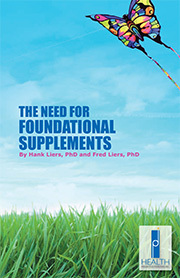 He helped develop the Rejuvenate!™ line of superfoods, and he supports his father, Dr. Hank Liers, in formulating leading-edge products known for their purity and effectiveness. Fred formerly taught business communications at University of Arizona’s Eller College of Management. He has also taught English, humanities, classics, and writing composition at UCLA and University of Arizona. Fred previously held various positions in industry, academia, government, and his own copywriting business. He holds a PhD in Comparative Literature from University of California, Los Angeles (UCLA), an MA from San Diego State University, and a BA from George Mason University. Fred is married to Stefanie Lischer Liers, a practicing acupuncturist in Tucson, Arizona. IntegratedHealthBlog.com is a discussion and community resource blog for friends of IntegratedHealth.com and health loving people everywhere. We’ve created this blog to share and discuss general health-related information, health and wellness news, and the latest scientific research.